This beautiful Decorative Metal Tray from Creative Co-op is black with a hint of rust coloring. 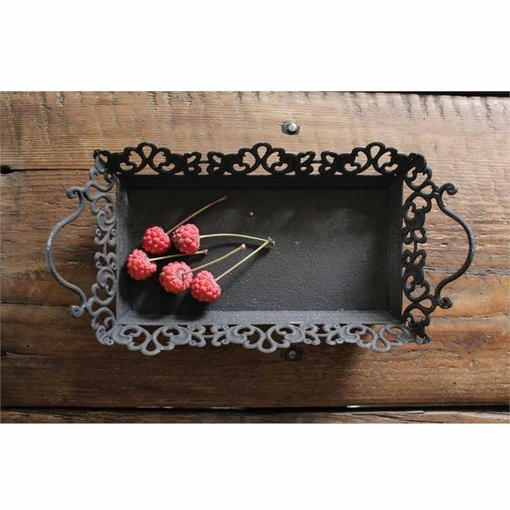 This versitle ornate metal tray can be used just about anywhere. The rich warm coloring goes with almost any decor. Each tray has a worn and weathered look. They are handpainted so each one varies slightly. 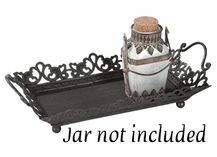 COLOR: The basic color is a black with subtle accents of rust/bronze color. This listing is for the tray only. The jar is NOT included.